Bronze age story published April 1975. 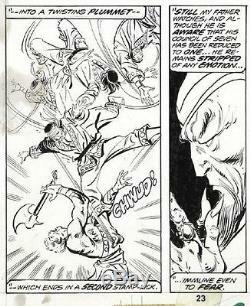 From the story, " Confrontation", written by Doug Moench. Penciled by John Buscema and inked by Frank Springer. I have many more Original Comic Art pages and will be listing them in the months to come a few at a time. 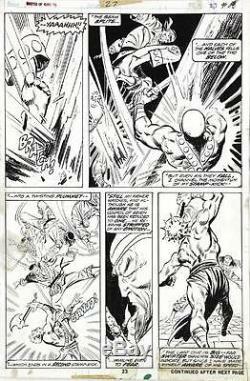 The item "Master of Kung Fu Issue 27 Page 23 Bronze Age John Buscema" is in sale since Thursday, June 15, 2017. This item is in the category "Collectibles\Comics\Original Comic Art\Interior Pages". The seller is "atomiki" and is located in Farrell, Pennsylvania.